My name is Charles Theologos , I live in Waveland MS about 3 hour Drive from Venice We have been Offshore Fishing in Venice since 2008 . I have been working as pilot for American Airlines for the past 26 years . Just what we were looking for! Perfect for fishing trip!! We loved staying at the Rooster’s Den! Charles stayed in constant communication to ensure we had all the info we needed. Loved that there were two bathrooms! Very spacious, comfortable and really felt like a home away from home! It was extremely nice that our Capt could pick us up right at our door and we did not have to drag our stuff back and forth to the marina. Was more than pleased with the items that were there for use (plates, cups, pans, pots, utensils —coffee pot!!!!). The ice machine is a big plus!!!! Will def try to book again for our next trip! We had a great time at the Roosters Den. 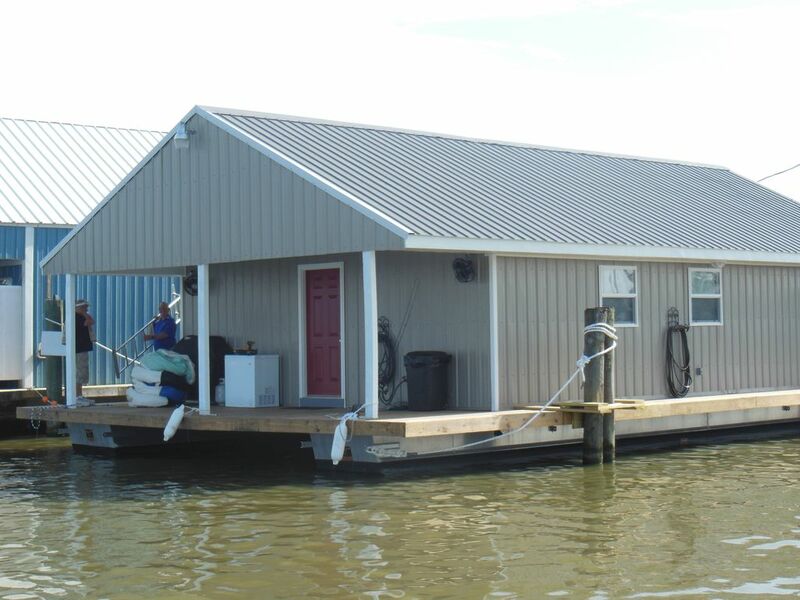 The houseboat was nicely equipped with freezer, ice maker, comfortable beds and couch, great location to get picked up for fishing and near the marina. All in all a great choice when staying in Venice. It was a great location for fishing trips! The house boat was extremely nice and modern and was a perfect location for our fishing trips...our guides picked us up right from the boat itself. Nice property - hope to return soon. We were 6 men and had plenty of room. Ice machine, chest freezer, washer, and dryer were a big plus. Dock space for 2 boats was great. Located close to the marina, only a little walk since it is at the end of the pier. Sure wished it had wifi since the AT&T signal in Venice is terrible! The owner was very accommodating and responsive. This place is clean and well equipped. Everything is as described online. Owner was very accommodating. Enjoyed our stay and would recommend this place to anyone.